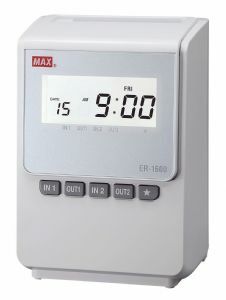 The MAX ER-1600 is a single-colour fully-automatic 4-column time recorder which uses the MAX clock card (TC-MAX). It has a capacity of 150 employees, or it can be programmed to enable a daily elapsed-time calculation between IN and OUT times for up to 50 employees (including 24-hour working). Other features include: auto Daylight Savings Time and password security, two different day-type programs. 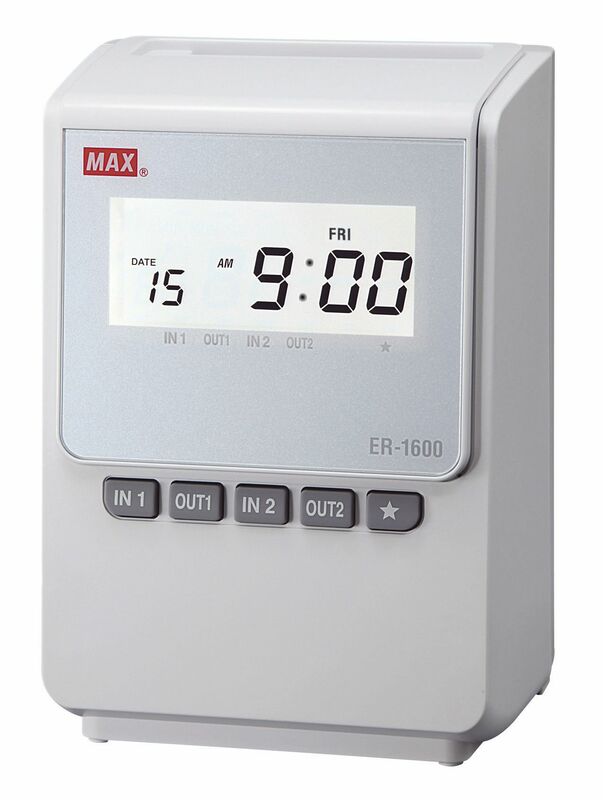 Download the leaflet by clicking on this link - MAX ER-1600 Leaflet.